The Pikachu clones seem to have some pretty good starters among them. Call for your family all you want, no one will save you from the lost zone. 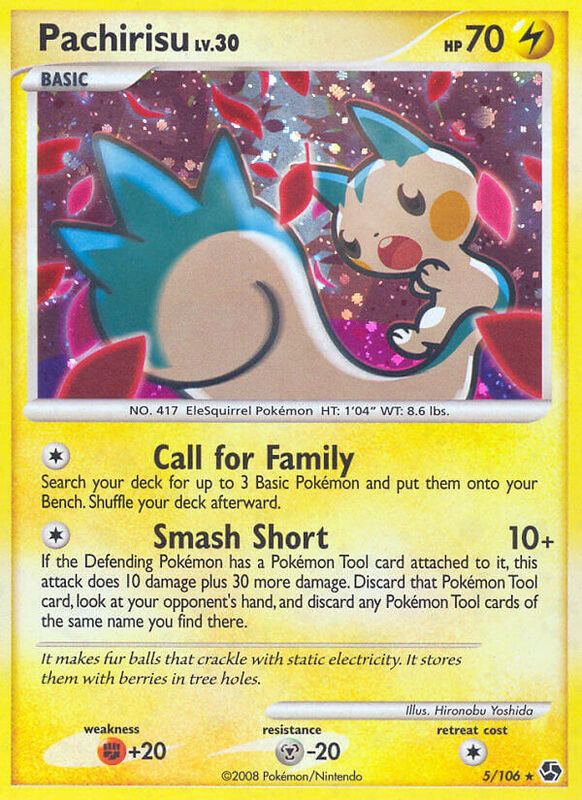 That being , this is pretty much a rare version of Emolga DXE, what with the now almost unprintably good triple-searching Call for Family and the more complicated damaging move. I know that they have different evolutionary identities (unevolving basic vs. basic/stage 2) but just compare this to Nidoran Female JU’s Call for Family. Wow. It was so great at the time that I don’t understand the low rating.